WASHINGTON COUNTY — One woman was transported to the hospital following a rollover Saturday morning that badly mangled the truck and trailer they were driving in. 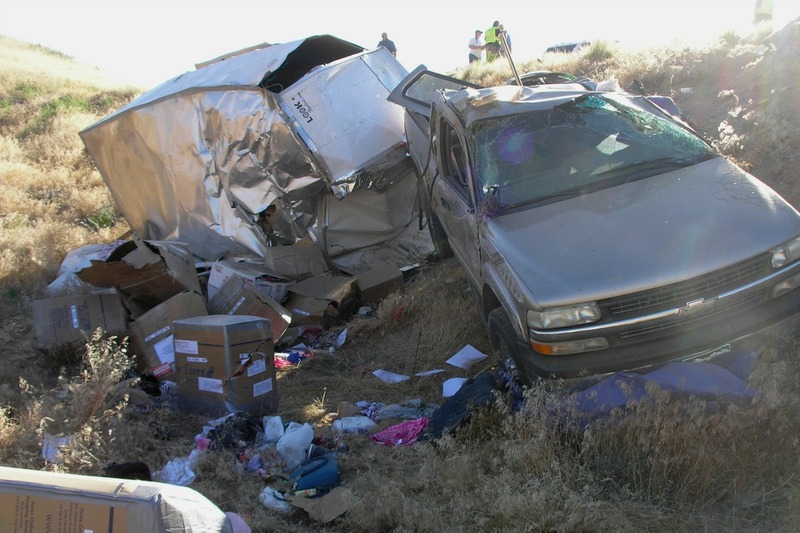 Shortly after 8 a.m. emergency responders were dispatched to a rollover on southbound Interstate 15 near mile marker 20. 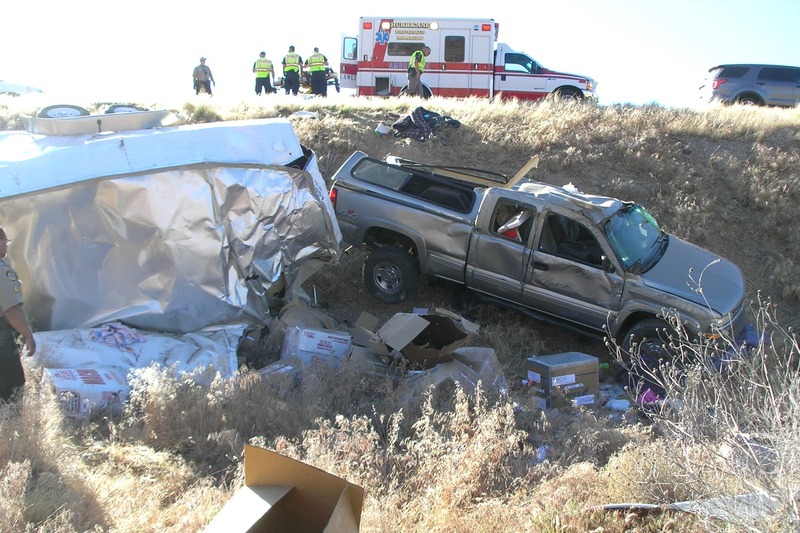 The crash involved a gold Chevrolet pickup truck pulling a trailer that went off the right shoulder of the road and down a steep embankment, Utah Highway Patrol Trooper Mike Murphy said. Initial reports indicated the passenger was unconscious and suffered a possible head injury. Upon arrival, troopers found the truck near the bottom of the ravine with the trailer disconnected and tipped on its side. The trailer’s hull was crushed during the rollover, and debris was scattered across the scene. Officers found the injured passenger, a woman who was conscious and alert, Murphy said, and she was transported to Dixie Regional Medical Center in stable condition for evaluation and treatment. The man driving declined transport and reported no serious injuries. After speaking with the driver, troopers determined that the truck was heading south and veered to the right before it began skidding off of the roadway, Murphy said. The truck then went over the right shoulder of the Interstate and began to roll down the steep embankment, bringing the trailer along with it before it became detached and came to rest with the truck more than 20 feet below the roadway. “You would think both occupants would have been seriously injured by looking at the amount of damage the truck and trailer sustained, so they are both very lucky,” Murphy said. No other vehicles or individuals were involved in the crash, and traffic was not impacted as the rollover occurred in the morning and was off of the roadway. The truck and trailer were later brought up from the ravine and towed away. Units from Washington County Sheriff’s Office and Hurricane Valley Fire and Rescue also responded and tended to the scene. If people understood the “real” definition of an “accident”, they would find that there are actually very few accidents that take place. Falling off a silo because of an earthquake would be an accident. Driving down an embankment from a nice straight freeway lane on dry pavement in ideal weather is not an accident. It’s simply not paying attention to what you are doing. What do you think is going to happen? Is the vehicle just going to stay in it’s lane? I guess that’s why self driving cars are getting closer to being perfected. This technology came to be ONLY because we’ve demonstrated for over a century now that we are incapable of safely controlling them ourselves.